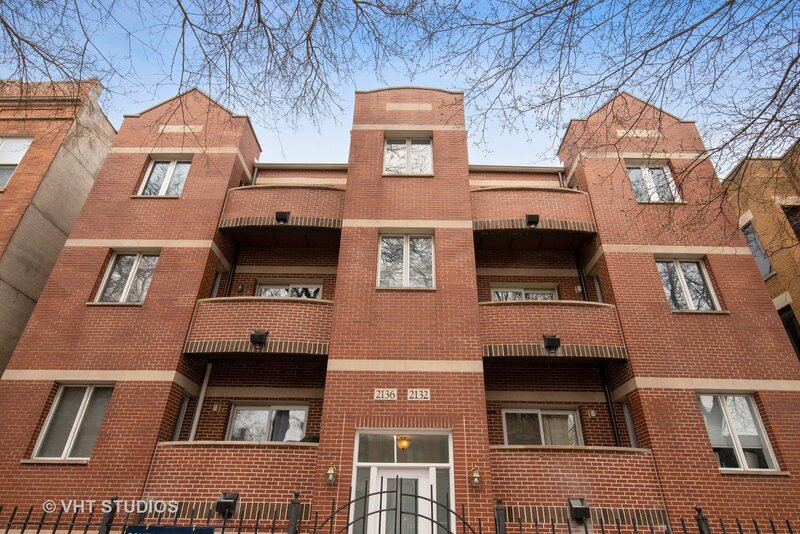 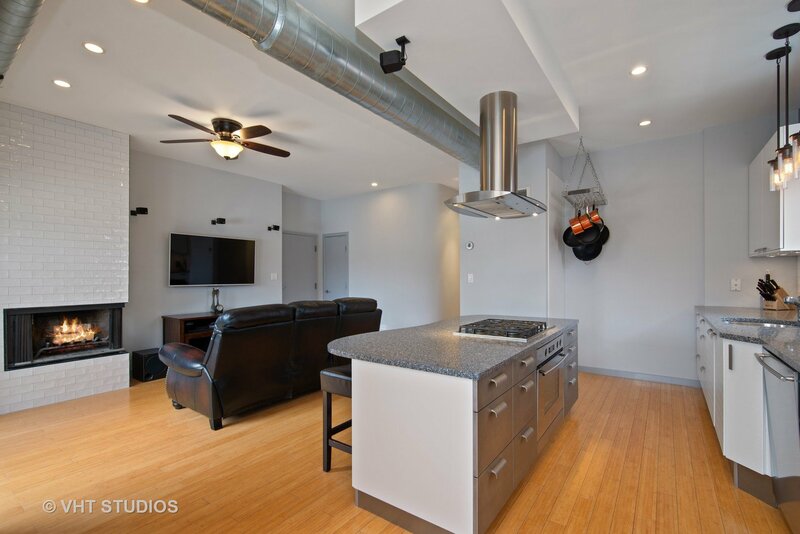 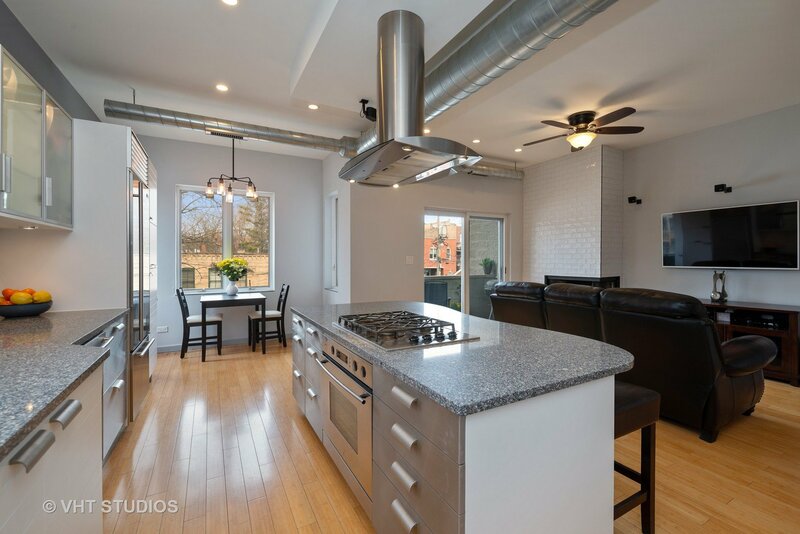 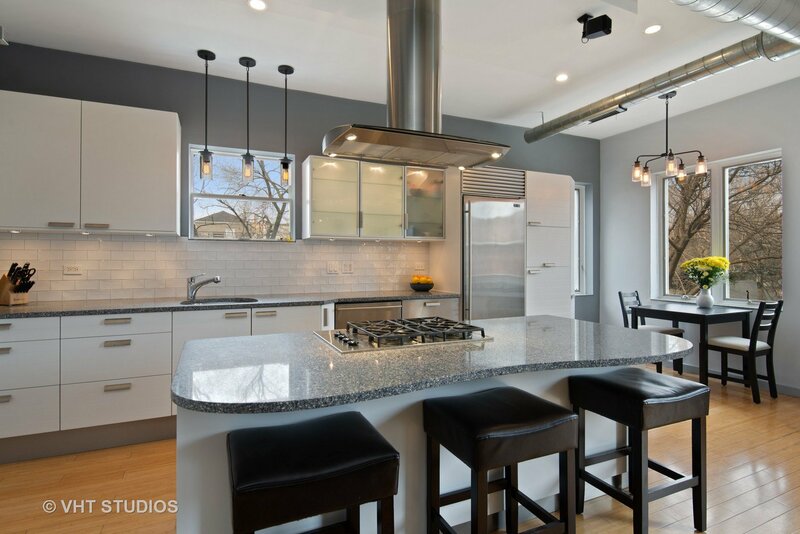 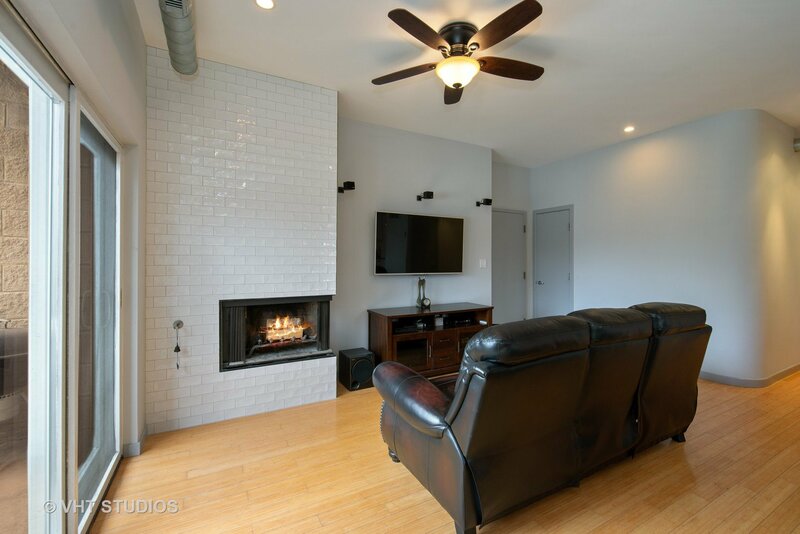 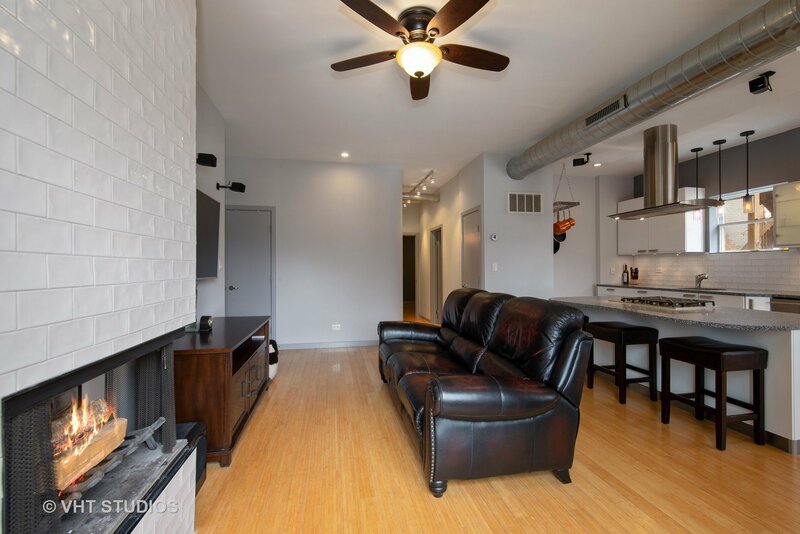 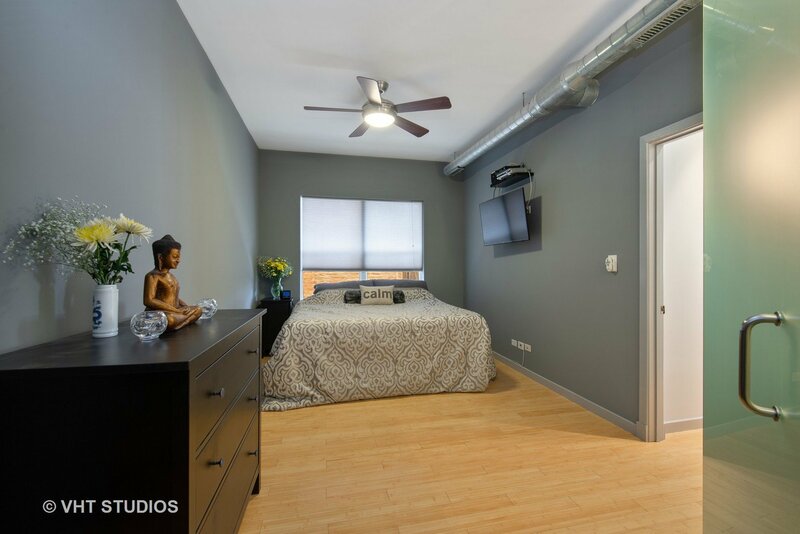 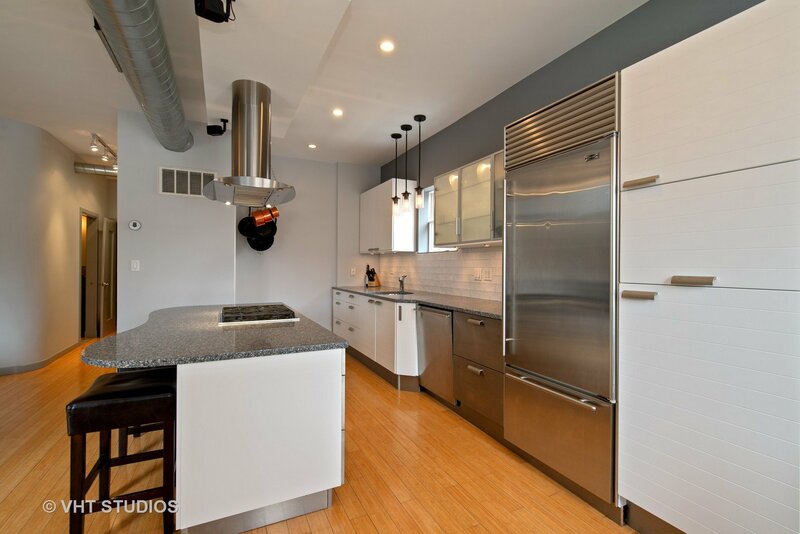 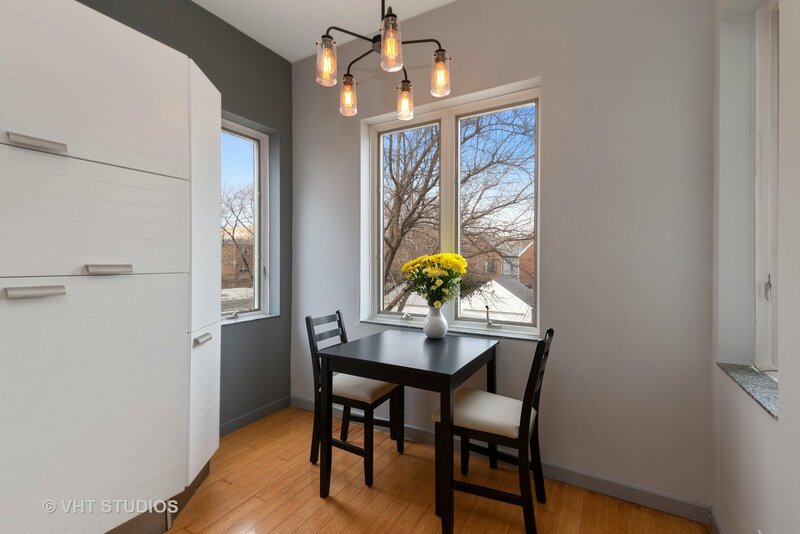 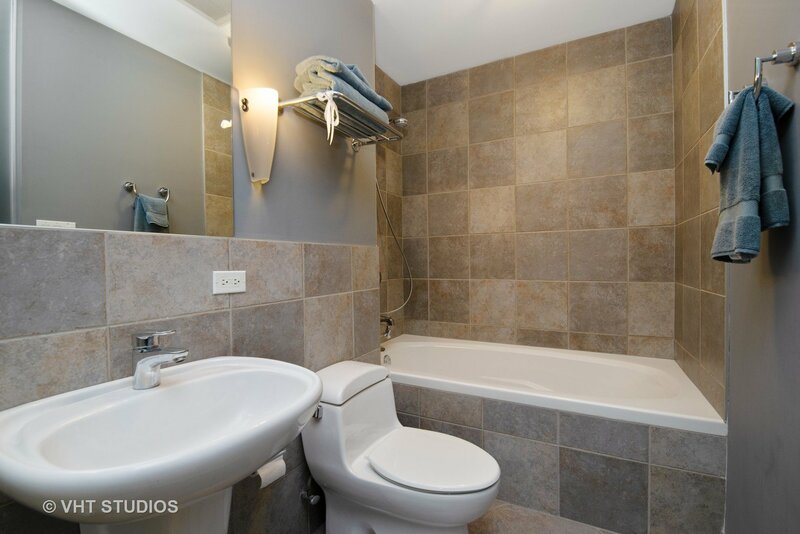 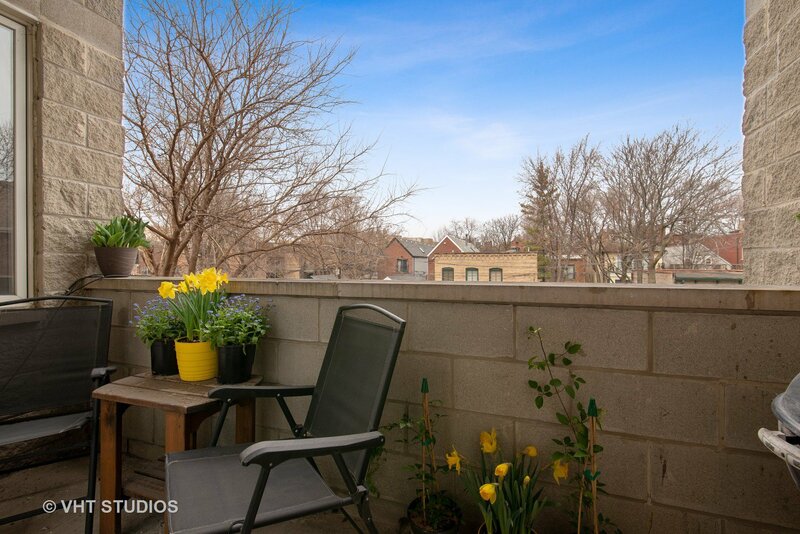 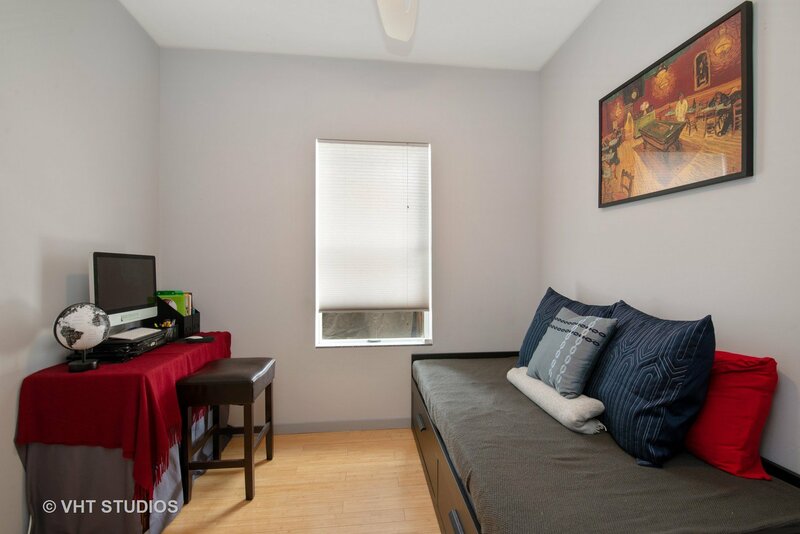 Perfect Wicker Park 2 bedroom 2 bath condo on beautiful tree-lined Evergreen St. 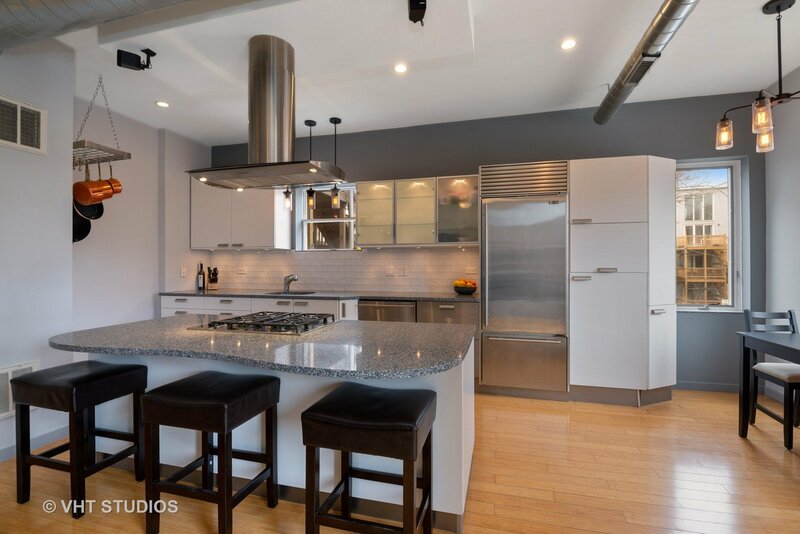 Luxury chef's kitchen boasts white European-style cabinets, Sub-Zero refrigerator, over-sized island with high-end quartz countertops, subway tile backsplash, Bosch range, and venting hood. 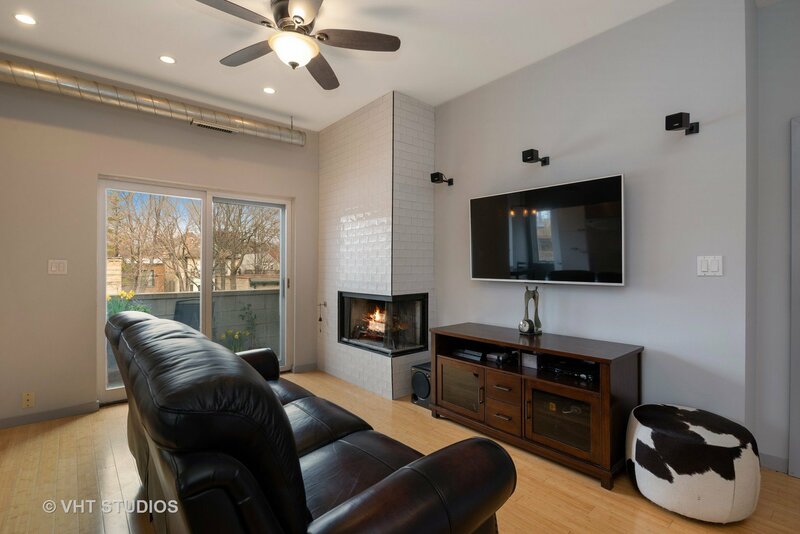 Character abounds with bamboo flooring throughout, exposed duct-work, white tile-surround wood-burning gas start fireplace, and dining room nook within an open-concept living room. 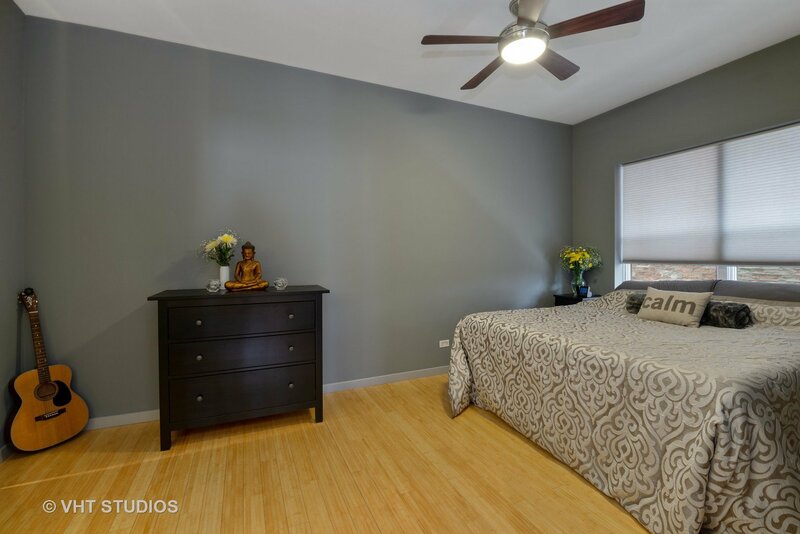 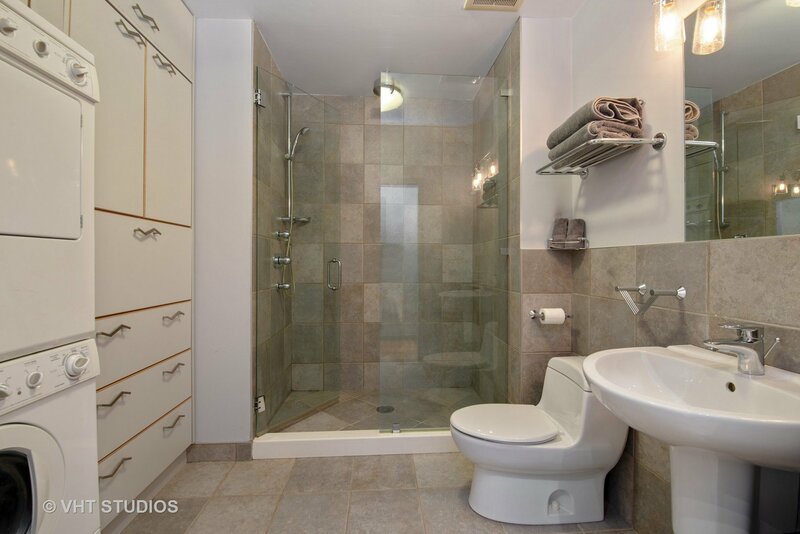 Large master bedroom easily fits a king-sized bed, walk-in closet and en-suite master bathroom with tub/shower combo. 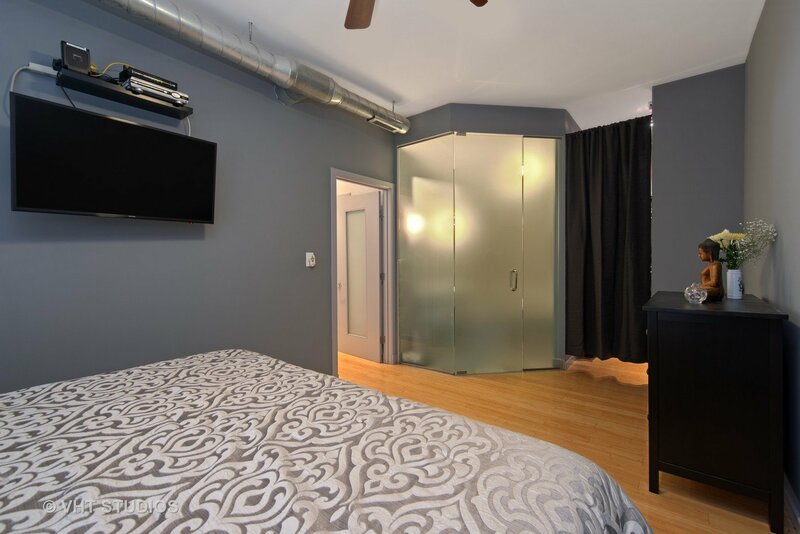 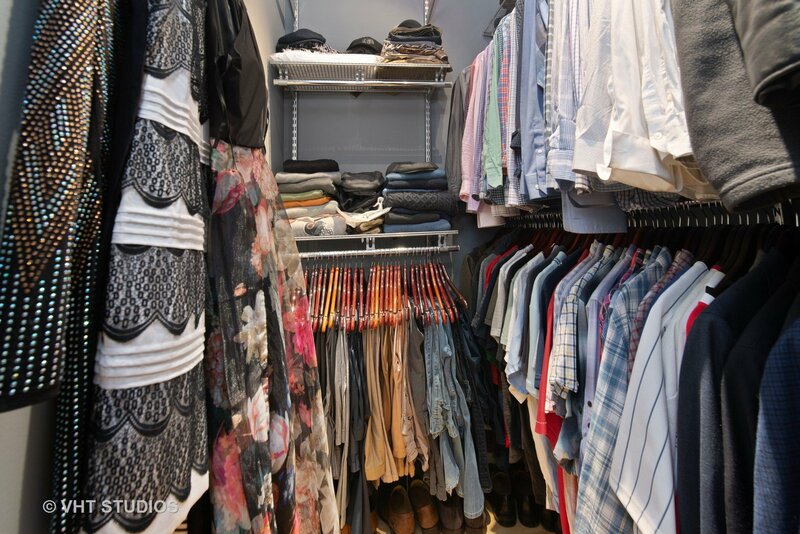 Well-sized second room ideal as a bedroom or office includes two additional closets and is accompanied by a full bathroom with walk-in, stone-tiled rainforest shower. 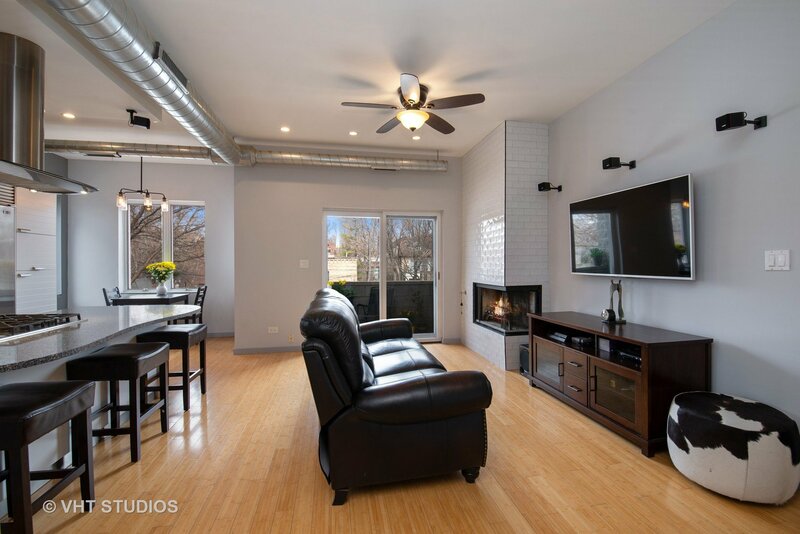 Condo features in-unit laundry, outdoor deck, brand-new high-efficiency furnace and water heater, tons of built-ins for storage, additional 6x5 storage space, and gated parking included. 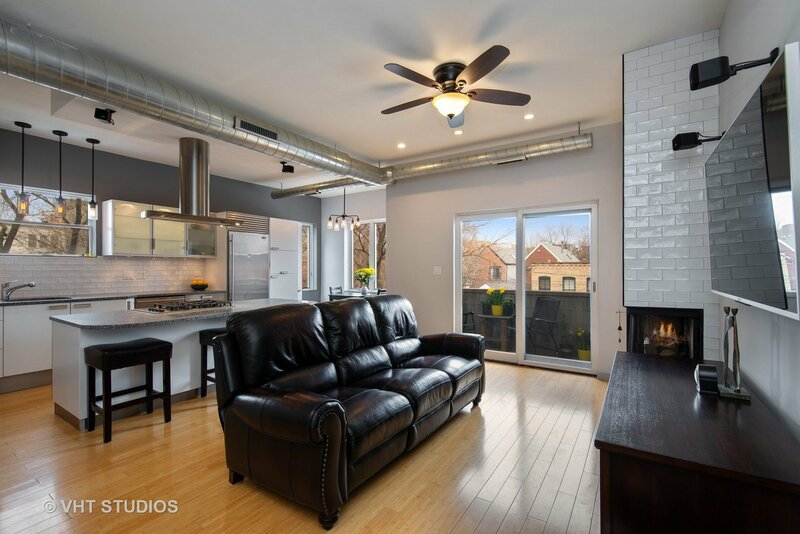 Walk to Damen/North/Milwaukee, Blue Line, Big Star and Jeni's Ice Cream!